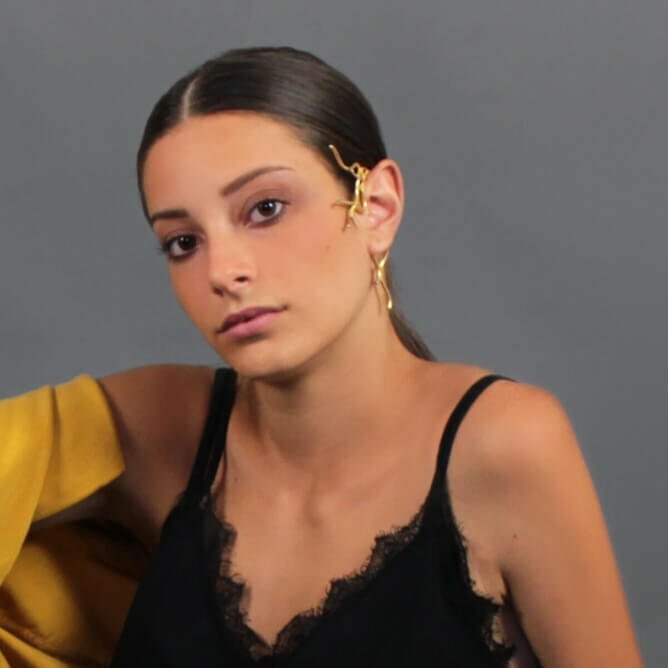 This ear cuff is a very dramatic piece that wants to reinvent how we wear ear ornamentation. 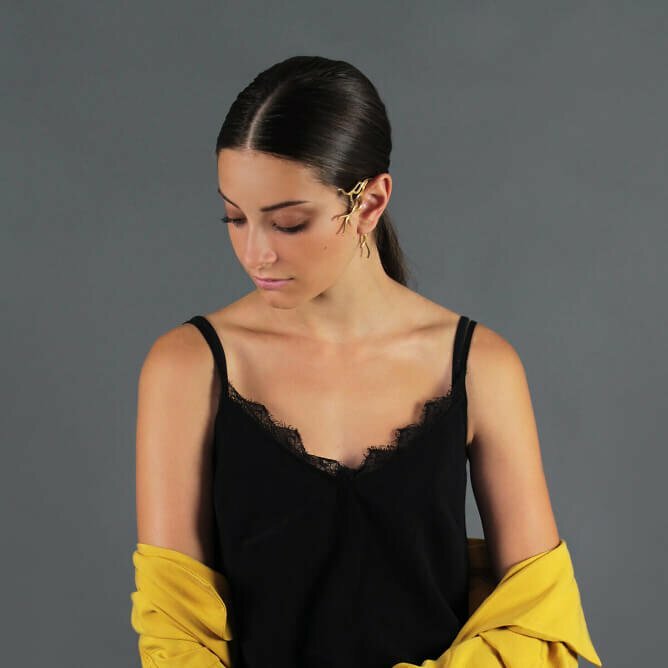 With no need for ear piercing, this cuff can comfortably be applied behind the ear and create a very natural and sophisticated decoration for a special night out or for everyday life if you like. 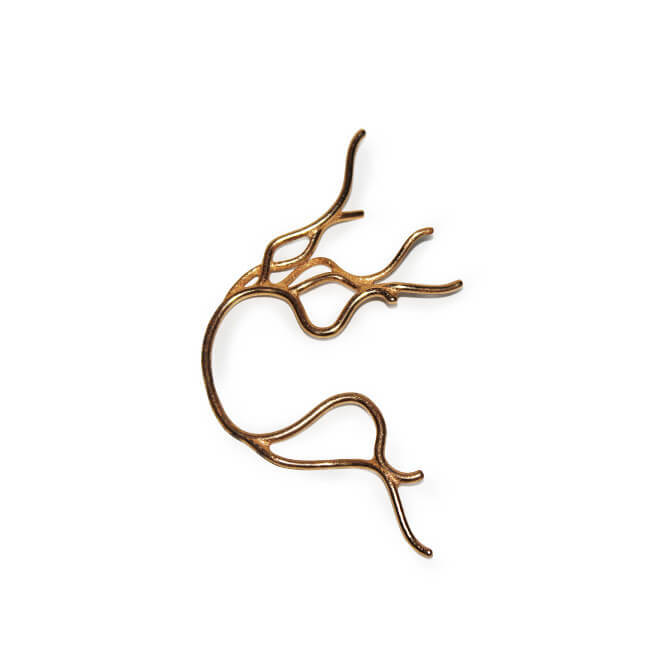 Inspired by natural elements like branches and roots and thanks to 3D printing technology, this cuff redesigns and celebrates of most natural shapes of Mother Nature. This piece is made to order with a typical 2 week lead time. It is adjustable in size.